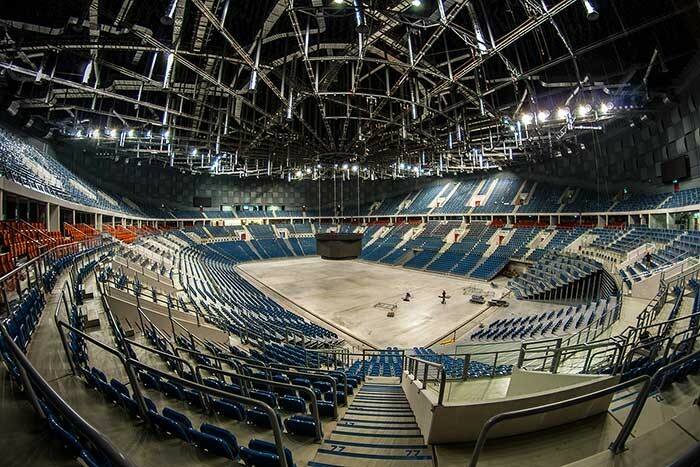 Poland – Allen & Heath GLD-80 and Qu-16 mixers have been installed in the Kraków Arena. The new Arena is the biggest in Poland, with a capacity of 20,000 and is one of the most modern entertainment halls and sports venues in the world. The building grabs attention with a gigantic 500 metre wide LED screen on its exterior and hosts a wide variety of sports events, exhibitions, conferences and trade fairs. The contract to design and supply the audio system for the Kraków Arena was awarded to Konsbud Audio. 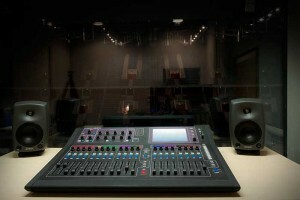 Konsbud chose three Allen & Heath digital mixers to meet the client’s needs. The main console is a GLD-80, located in the control room of the main hall and used for mixing and signal distribution between all audio systems. There are also two Qu-16 mixers: one in a mobile rack that can be used on the floor of the main hall, and another in the control room in the smaller, secondary hall. The audio signals from different parts of the venue are fed to the GLD-80 via AR84 and AR2412 AudioRacks. The mobile Qu-16 is also compatible with the AudioRacks, giving it the flexibility to act as a secondary mixer or as the main mixer, managing the whole system. Thanks to the Qu-Pad and GLD OneMix apps the audio team also has the ability to control the mixers via iPad from anywhere in the venue. Since its completion, the Kraków Arena has won praise as the best sounding sports venue in Poland.